The American Association of State Highway and Transportation Officials and several other groups filed a joint letter with the U.S. Department of Homeland Security and the USDOT on Nov. 26 to request establishing a “consultation process” for developing “counter-drone technology” protocols as a necessary step towards preserving the jurisdictional rights of the state and local governments they represent. The letter – co-signed by AASHTO, the U.S. Conference of Mayors, National League of Cities, National Governors Association, National Conference of State Legislatures, the National Association of Counties, and the National Association of State Aviation Officials – is in response to the passage of H.R. 302, Division H, within the FAA Reauthorization Act of 2018. According to the letter, Division H provides DHS with the authority to “destroy or overtake” an unmanned aerial system or UAS, more commonly referred to as a drone, that has violated protected U.S. airspace or is otherwise posing a safety and/or security threat to the nation. 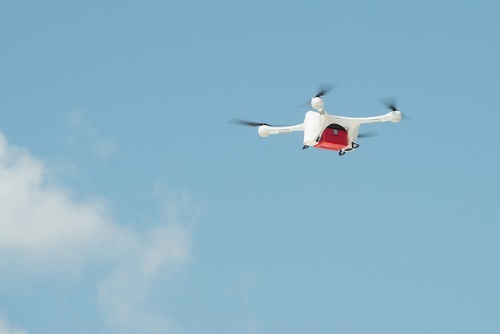 Further, it requires the Federal Aviation Administration to develop a “comprehensive strategy” to provide outreach to state and local governments as well as provide guidance for local law enforcement agencies and first responders with respect to how to protect public safety, identify and respond to threats posed by drones. “The implementation of H.R. 302 will have significant impacts on state and local governments, as one of the foremost responsibilities of both state and local governments is ensuring the protection of public safety, security and personal privacy,” AASHTO noted in the letter, and as a result state and local governments need to play a role in helping craft any national “drone response” strategy – especially as the potential national security dangers posed by drones are increasing. “Terrorists are using drones on the battlefield to surveil and to destroy; drug smugglers are using them to monitor border patrol officers so they can slip into America undetected; and criminals are using them to spy on sensitive facilities. The threat is real, and they can be used for a wide array of nefarious purposes,” noted DHS Secretary Kristen Nielsen noted in testimony on Oct. 10 before the Senate Committee. She said the FAA Reauthorization Act of 2018 will allow her agency “to get ahead of this challenge” and “give us the ability to better protect Americans” against unmanned aerial threats. “We have already begin planning in earnest for how to best deploy these authorities and defensive technologies to defend the United States against this emerging danger,” Secretary Nielsen noted. For those reasons, “prior to any testing of counter-drone technology and the establishment of any regulations governing the use of counter-drone technology, the undersigned organizations request DHS and USDOT establish a consultation process to ensure meaningful and timely input by state and local officials and representatives from the undersigned organizations in the development of regulatory policies on the use of counter-drone technology,” the letter stressed. “To ensure the safety and security of both the national airspace and states and communities across the country, it is imperative that federal, state and local governments work in close coordination to appropriately assess and counter this new potential threat,” it noted.